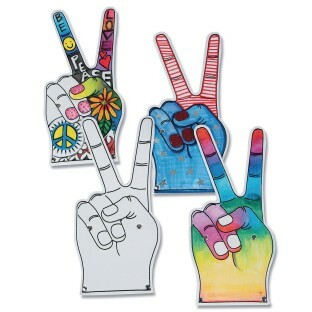 Give 'em a sign… a peace sign! Peace is cool! 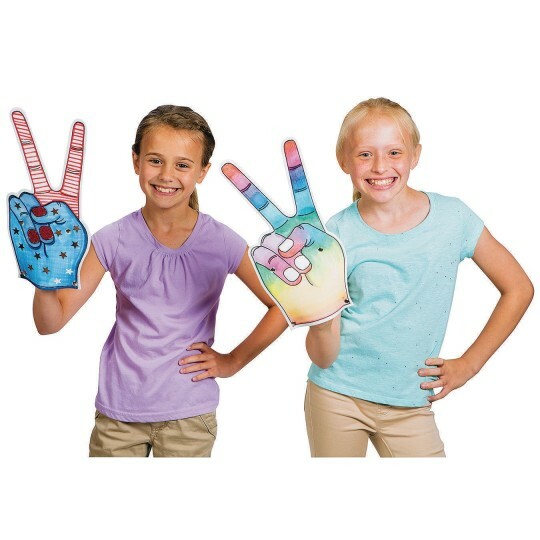 Giant foam hands showing a peace sign are made from 2 pieces of white EVA foam pre-assembled with 4 silver-tone grommets. The front is pre-printed with black outlines to show details. Easy to decorate with multi-purpose markers, fabric markers or fabric paint. Pack includes 12 white EVA foam hands ready to decorate. Each measures 14-1/4”H x 6-7/8”W x 3mm thick.